An urban model, it’s compactness becomes a force to be reckoned with in the city. The eTricks P01 offers you a maximum of fun. You will be able to go anywhere with maximum pleasure and grip thanks to it’s 20” wheels. 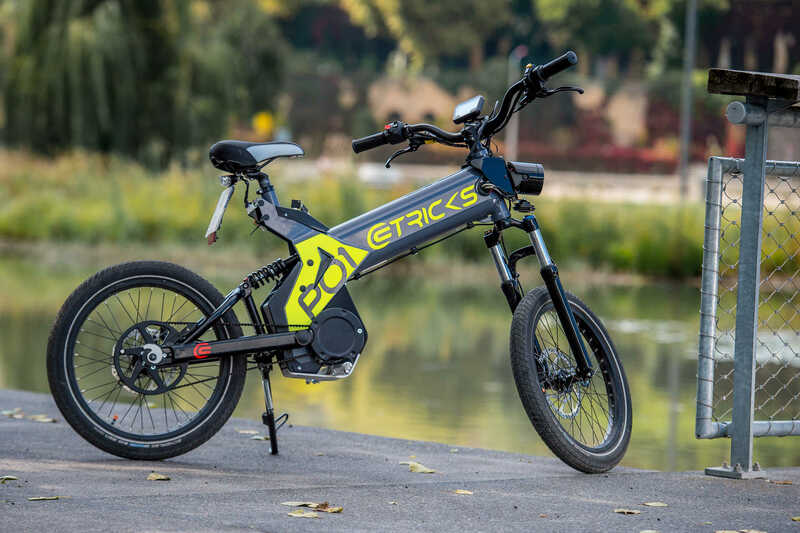 Adopted by great champions like Romain DUMAS (winner of the 24h of Le Mans 2010 with Audi), the eTricks P01 is belt drive for silent running and a sporty look. PRICE €3749*All prices are in Euros excluding VAT, delivery charges and optional accessories. Photo non contractual.